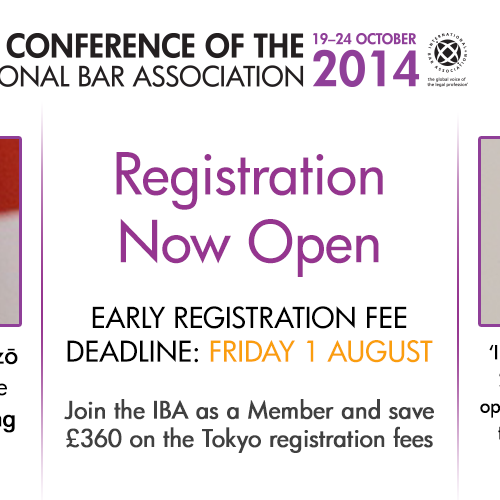 The International Bar Association’s 2014 Annual Conference will take place from 19 to 24 October 2014 at the Tokyo International Forum. The sessions of the IBA War Crimes Committee will be charied by 9BRi’s Steven Kay QC, with Gregor Guy-Smith and Toby Cadman also appearing as panellists. The verdict on the ICC and UN ad hoc Tribunals as competing justice systems. Which is the winner? The verdict on 20 years of International Criminal Justice – National accountability for the past and International accountability for the present. Click here for the official conference website. further information concerning the conference including registration.